is located in North Essex. The Clubs objective is to promote social contact and fellowship amongst its members at its regular monthly meetings and on other occasions. Membership is open to professional and businessmen who have fully retired, are near retirement or are partially retired from their normal profession or business. Meetings are on the first Tuesday of each month, start at 10.45am and include a speaker followed by a lunch. We arrange a number of other activities throughout the year, including snooker, golf, bridge and bowls. A week’s Spring break holiday features on our calendar and other social events are considered within the membership. Our current year meeting detail can be seen on the Diary page. There is also a Frinton & District Ladies' Probus Club that meets on the fourth Thursday of each month. For more details, click here. We are pleased to welcome guests or visiting Probus members to our lunches by prior arrangement. 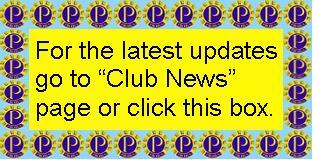 If you wish to find out more about our Club, please contact our Secretary secretary@frintonprobus.org.uk. In January 1980, 25 retired men were invited by the local Rotary Club to discuss starting a Probus Club locally. The idea was discussed at length and agreed upon unanimously. At the Club’s first meeting on the 1st February 1980 a Committee was formed mainly by volunteers, with a total of 40 Members being recruited almost immediately. The first Club Luncheon was held in March 1980 at the Blenheim House Hotel, but over the years we have had to move our meeting place a number of times due to facilities not being large enough, our regular meetings not being able to be accommodated or due to a number of hotel closures in Frinton. In the early 90’s we were offered a “home” at the Masonic Hall in Central Avenue and then moved to their new hall when it opened at Kirby Cross. We have enjoyed over 20 years using their facilities. From the start of 2015 we have moved our meetings to the Frinton Golf Club where we hope the new venue will be enjoyed by all our members. Our Membership limit was originally 40 but over the years has increased, and we presently have our membership varying between 65 to 70. Over the years the Social side of the Club has increased considerably thanks to a lot of hard work with an annual holiday break, Christmas Lunch where Wives/Partners and Guests can attend and Theatre trips when the demand is there. Members also enjoy a ‘Gentlemen’s Evening’ and in-house Golf and Snooker Tournaments.